Tell Me What Democracy Looks Like! THIS IS WHAT DEMOCRACY LOOKS LIKE!!! overview of what various forms of Govt. With respect to technological developments in a democracy: "Persons do not become a society by living in physical proximity any more than a man ceases to be socially influenced by being so many feet or miles removed from others" -John Dewey from Andrew Feenberg's "Community in the Digital Age"
There are three main lines of argument for democracy in Dewey's mature political philosophy: democracy as the protection of popular interests; democracy as social inquiry; and democracy as the expression of individuality. At the minimum, for Dewey, democracy involves the expression of interests on the part of voters; the vote helps to protect individuals from putative experts about where the interests of people lie. A class of experts will inevitably slide into a class whose interests diverge from those of the rest and becomes a committee of oligarchs. So ‘the strongest point to be made in behalf of even such rudimentary political forms as democracy has attained, popular voting, majority rule and so on, is that to some extent they involve a consultation and discussion which concerns social needs and troubles’ (The Public and Its Problems, LW2, p. 364). Dewey stresses the importance of discussion, consultation, persuasion and debate in democratic decision-making. These processes extend and deepen the public awareness of the problems under discussion, and help to inform the ‘administrative specialist’ of social needs. Values, Dewey suggested, can be viewed as constructs to solve practical problems. Like an outmoded piece of technology, a past value which was once constructed to address a problem in one set of circumstances can outlive its usefulness, and become a hindrance to the capacity of those in the present to deal with their practical needs and worries. This, Dewey believes, is the case with values of classical liberalism. These have come to block the capacity to resolve social problems in a way compatible with what he takes to be liberalism's core commitment to individual liberty. It is in this way that ‘the slogans of liberalism in one period can become the bulwarks of reaction’ in the next (‘Logical Method and Law’, MW15, 76). He develops this thought in discussing the relation of individual and society, the character and value of freedom, and the scope of legitimate social and political action. Dewey criticises classical liberalism for conceiving of the individual as ‘something given, something already there’, prior to society and for viewing social institutions for coordinating the interests of pre-social individuals. Instead, he argues, social institutions are not ‘means for obtaining something for individuals. They are means for creating individuals’ (Reconstruction in Philosophy, MW12, 190-192). In this way, classical liberalism exemplifies ‘the most pervasive fallacy of philosophical thinking’ (‘Context and Thought’, LW5, 5). This is the tendency to divide up experienced phenomena, and to take the distinct analysed elements to be separate existences, independent both of the analysis and of each other. That this abstraction is in particular circumstances essential for inquiry is an important theme in Dewey's philosophy. But this abstraction goes wrong ‘whenever the distinctions or elements that are discriminated are treated as if they were final and self-sufficient’ (‘Context and Thought’, LW5, 7), as when classical liberalism treats the individual as ‘something given.’ Instead, Dewey argues, ‘liberalism knows that an individual is nothing fixed, given ready-made. It is something achieved, and achieved not in isolation but with the aid and support of conditions, cultural and physical: — including in “cultural”, economic, legal and political institutions as well as science and art’ (‘The Future of Liberalism’, LW11: 291). Two sorts of intellectual background are important to understanding Dewey's political philosophy. The first is an important formative condition of his ethical and political thinking, the Idealist and New Liberal assault on the misguided individualism of the classical liberal tradition. From a very early point of his intellectual development, Dewey, like the British Idealist T. H. Green (on whom he wrote several essays) and the New Liberal L. T. Hobhouse, accepted that traditional liberalism in part rested on a false conception of the individual, which was ethically pernicious in its effect on liberal thought. Accordingly, many of the themes that characterised Dewey's thinking about social and political theory after his turn to ‘experimentalism’ were present in his earlier, overtly Idealist political philosophy. In texts such as ‘The Ethics of Democracy’ (EW1) and ‘Christianity and Democracy’ (EW4), Dewey elaborates a version of the Idealist criticisms of classical liberal individualism. For this line of criticism, classical liberalism envisages the individual as an independent entity in competition with other individuals, and takes social and political life as a sphere in which this competitive pursuit of self-interest is coordinated. By contrast, the Idealists and New Liberals rejected this view of social and political life as the aggregation of inherently conflicting private interests. Instead, they sought to view individuals relationally: individuality could be sustained only where social life was understood as an organism in which the well-being of each part was tied to the well-being of the whole. Freedom in a ‘positive’ sense consisted not merely in the absence of external constraints but the positive fact of participation in such an ethically desirable social order. As Dewey puts it, ‘men are not isolated non-social atoms, but are men only when in intrinsic relations’ to one another, and the state in turn only represents them ‘so far as they have become organically related to one another, or are possessed of unity of purpose and interest’ (‘The Ethics of Democracy’, EW1, 231-2). Other important themes also appear in these early statements. Dewey is anti-elitist, and argues that the capacity of the wise few to discern the public interest tends to be distorted by their position. Democratic participation is not only viewed as a bulwark against government by elites, but also as an aspect of individual freedom – humanity cannot rest content with a good ‘procured from without.’ Furthermore, democracy is not ‘simply and solely a form of government’, but a social and personal ideal; in other words, it is not only a property of political institutions but of a wide range of social relationships. This ideal is common to a range of social spheres, and should take ‘industrial, as well as civil and political’ forms (‘The Ethics of Democracy’, EW1, 246). For this ideal to be effective requires a democratically educated citizenry. A distinctive emphasis of these early works is that it is through democracy in this extended and ideal sense that, Dewey believes, ‘the incarnation of God in man … becomes a living, present thing … The truth is brought down to life, its segregation removed; it is made a common trust enacted in all departments of action, not in one isolated sphere called religious’ (‘Christianity and Democracy’, EW4, 9). While the Christian conception of democracy recedes (but does not entirely disappear) in Dewey's later work, the idea that democracy should be viewed as a form of relationship that cuts across different spheres of social life and unifies them remains important. These crucial features of his early political philosophy survived, then, the jettisoning of Idealism: holism about the individual; anti-elitism; democratic participation as an aspect of individual freedom; and the unconventional view of democracy as a form of relationship inherent not merely in political institutions but in a wide range of social spheres. While the Idealist and New Liberal assault on individualism is one important element of the intellectual background to Dewey's political philosophy, this should also be located against the background of his own mature conception of inquiry. A distinctive and central theme in Dewey's epistemology was the rejection of a ‘spectator theory’ of knowledge, which he thought dominated western philosophy. For this kind of theory, knowledge was understood on the model of the observation of a fixed and independent object on the part of a subject. The spectator account of knowledge was accompanied by a ‘quest for certainty’ in epistemology; that is, a search for a fixed and certain foundation for knowledge claims, for example in a priori truths or in the incorrigible data of our senses. Dewey aimed to displace this conception of knowledge with a notion of inquiry, understood as the struggle of human intelligence to solve problems. The goal of such inquiry was not to arrive at a certain picture of the nature of things, but at an inevitably provisional solution to the practical and intellectual problem that sparked inquiry. Three features of this conception can be usefully underlined here: inquiry as problem-solving, as historical and progressive, and as communal. We engage in inquiry, Dewey thought, as part of a struggle with an objectively precarious but improvable environment. Inquiry is demanded by what he calls an ‘incomplete’ or ‘problematic’ situation, that is, one in which something must be done. The goal of inquiry is not simply a change in the beliefs of the inquirers but the resolution of the problematic situation, in what he calls a ‘consummatory’ course of action or state of affairs. The modern natural sciences, he argues, have been progressive and cumulative, giving us greater and greater control of the natural world. This has above all been the result of their experimental character, in which no intellectual element is taken to be beyond rational scrutiny. Theories and hypotheses are invented, used, tested, revised, and so on. At the same time, new methods for the invention, use, testing and revision of theories and hypotheses are developed and refined, and so are new standards for evaluating theories and hypotheses. What counts as success in inquiry is some practice's meeting these standards, but these standards themselves may be judged in the light of how they square with ongoing practices of inquiry. In this way, the methods used by science are not fixed but themselves have a history and develop progressively and sometimes in unexpected ways. What counts as knowledge is defined as ‘the product of competent inquiries’; beyond this, the meaning of the term ‘is so empty that any content or filling may be arbitrarily poured in’ (Logic, LW12, 16). Third, inquiry is social or communal, in the sense that its findings must be subject to scrutiny and testing by other inquirers: ‘an inquirer in a given special field appeals to the experiences of the community of his fellow workers for confirmation and correction of results’ (Logic, LW12, 484). 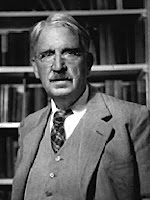 Dewey's conception of inquiry is intended as a general model of reflective intelligence, and he argues against drawing an a priori distinction between, for example, inquiry in ethics and politics and in the natural sciences. Indeed, he argues that values are constructed in order to resolve problematic situations, and valuation is conceived as reflective thought that responds to such situations, with the aim of providing means for what Dewey calls the ‘directed resolution’ of the situation. Strikingly, for example, in Art as Experience, he analyses the work of the French painters Paul Cézanne and Henri Matisse in terms of problem-solving, with the goal of ‘consummatory’ experience. It is of course crude to see Dewey's political philosophy as the marriage of the Idealist and New Liberal view of liberalism with his pragmatist or experimentalist conception of inquiry. Many other influences were significant over a long working life. But to view matters in this way does capture a great deal of what is distinctive about Dewey's political thinking. "What nutrition and reproduction are to physiological life, education is to social life. This education consists primarily in transmission through communication. Communication is a process of sharing experience till it becomes a common possession." Dewey was the most famous proponent of hands-on learning or experiential education. Dewey went on to influence many other influential experiential models and advocates. Many researchers credit him with the influence of Project Based Learning which places students in the active role of researchers. Dewey's theories influenced many Chinese scholars including Hu Shih, Zhang Boling and Tao Xingzhi while they studied under him in Columbia University. His opposition (regarding traditional education) also had an impact on Mao Tse Tung. "But Bentham was equally aggressive in assault upon that aspect of earlier liberalism which was based upon the conception of inherent natural rights—following in this respect a clew given by David Hume. Natural rights and natural liberties exist only in the kingdom of mythological social zoology. Men do not obey laws because they think these laws are in accord with a scheme of natural rights. They obey because they believe, rightly or wrongly, that the consequences of obeying are upon the whole better than the consequences of disobeying. If the consequences of existing rule become too intolerable, they revolt. An enlightened self-interest will induce a ruler not to push too far the patience of subjects. The enlightened self-interest of citizens will lead them to obtain by peaceful means, as far as possible, the changes that will effect a distribution of political power and the publicity that will lead political authorities to work for rather than against the interests of the people—a situation which Bentham thought was realized by government that is representative and based upon popular suffrage. But in any case, not natural rights but consequences in the lives of individuals are the criterion and measure of policy and judgment. Because the liberalism of the economists and the Benthamites was adapted to contemporary conditions in Great Britain, the influence of the liberalism of the school of Locke waned. By 1820 it was practically extinct. Its influence lasted much longer in the United States. We had no Bentham and it is doubtful whether he would have had much influence if he had appeared. Except for movements in codification of law, it is hard to find traces of the influence of Bentham in this country. As was intimated earlier, the philosophy of Locke bore much the same relation to the American revolt of the colonies that it had to the British revolution of almost a century earlier. Up to, say, the time of the Civil War, the United States were predominantly agrarian. As they became industrialized, the philosophy of liberty of individuals, expressed especially in freedom of contract, provided the doctrine needed by those who controlled the economic system. It was freely employed by the courts in declaring unconstitutional, legislation that limited this freedom. The ideas of Locke embodied in the Declaration of Independence were congenial to our pioneer conditions that gave individuals the opportunity to carve their own careers. Political action was lightly thought of by those who lived in frontier conditions. A political career was very largely annexed as an adjunct to the action of individuals in carving their own careers. The gospel of self-help and private initiative was practiced so spontaneously that it needed no special intellectual support. Finally, there was no background of feudalism to give special leverage to the Benthamite system of legal and administrative reform." "The Public and Its Problems"
Problems Facing Our Socialism by Barrack Hussein Obama Sr.